Generating useful reports can be crucial to the success of your business. With the volume, velocity, and variety of data we have today, companies are often constrained by their infrastructure’s ability to deploy, process, and distribute reports that are current and timely. Generating reports based on business analytics software from AWS Marketplace helps businesses make better decisions. 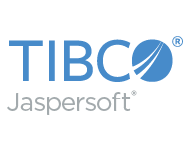 TIBCO Jaspersoft for AWS is a commercial open source reporting and analytics server built for AWS that can run standalone or be embedded in your application. It is priced very aggressively with a low hourly rate that has no data or user limits and no additional fees. A multi-tenant version is available as a separate Marketplace listing. 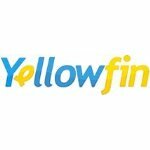 Yellowfin is a 100% web-based platform ideal for Business Intelligence and analytics in the cloud. Just launch your free trial version of Yellowfin directly from the AWS marketplace and get started in minutes with your free trial that enables 3 users to create and share unlimited reports and dashboards for 12 months. Then upgrade at anytime to seamlessly scale throughout your enterprise. Tableau Server for AWS is browser and mobile-based visual analytics anyone can use. Publish interactive dashboards with Tableau Desktop and share them throughout your organization. Embedded or as a stand-alone application, you can empower your business to find answers in minutes, not months. By deploying on the AWS Marketplace you can stand-up a perfectly sized instance for your Tableau Server with just a few clicks.